The Pittsburgh Steelers failed to force overtime against the Raiders in Oakland on Sunday. 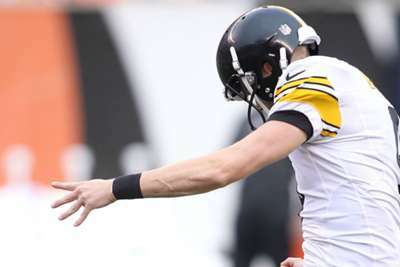 Chris Boswell lined up for a 40-yard attempt with Pittsburgh trailing 24-21 and just five seconds left. A make would have, of course, sent the game into an extra period barring a miraculous score from the Raiders in regulation. Unfortunately for Boswell, he could not stay on his feet. Boswell slipped while making contact with the ball and the kick was ultimately blocked by Oakland. The Raiders went on to win 24-21 and give the Steelers their third consecutive loss. Pittsburgh have not won in Oakland since 1995.